Let American Cruise Lines guide you through the origins and rich traditions of music on America’s rivers. Home to many celebrated styles of music including Country, Jazz, Blues and Rock n’ Roll. Explore famous cities along historic river banks that offer guests the opportunity to learn how important this region was to the development of popular American musical styles. 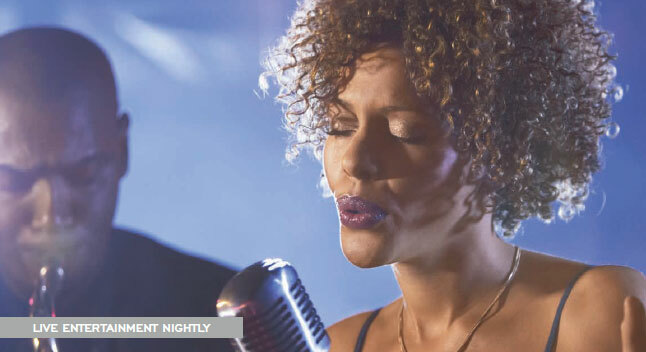 Your musical entertainment doesn’t end onboard, it perfectly harmonizes with the destinations we visit. Nashville, also known as “Music City” is home to the Country Music Hall of Fame and Museum, the Grand Ole Opry, and the Johnny Cash Museum. 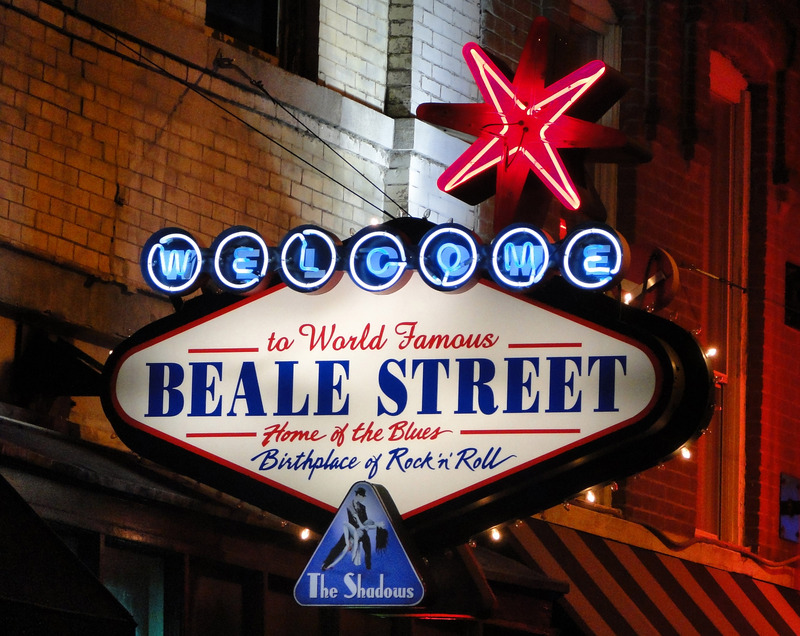 Memphis is one of America’s most renowned music towns and also home to the famous Sun Studios and Graceland mansion. It’s also the city that launched the careers of Elvis Presley, B.B. King and many other legendary country and blues musicians. St. Louis is synonymous with the blues, enough so that there is a specific style of the genre called “St. Louis Blues.” It’s also the birthplace of Miles Davis, Roosevelt Sykes and Ike Turner. American Cruise Lines carefully selects industry experts to join us on each of our cruises. 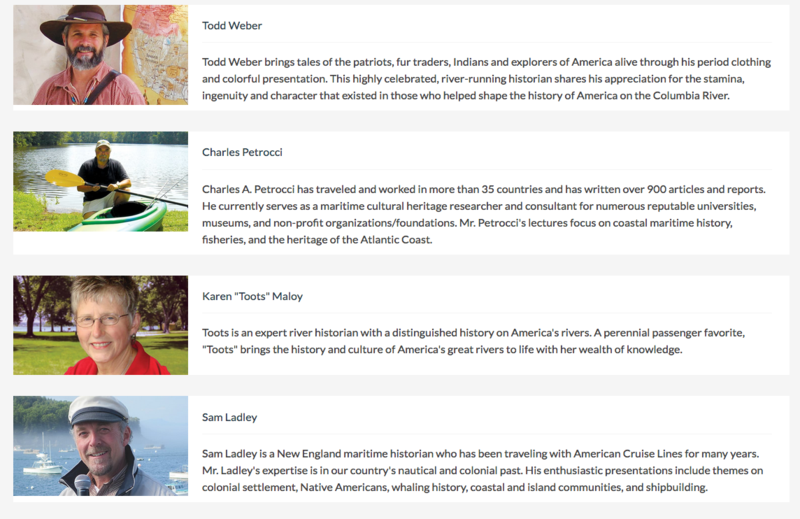 Their informal lectures, open discussions and activities bring local history, nature and culture to life through their knowledge and passion for American heritage. These enlighteners, naturalists, and historians also attend shore excursions to give our guests behind the scenes insight into some of America’s most treasured destinations. American Cruise Lines reserves the right to cancel, alter, or substitute any scheduled shore excursion without advanced notice.